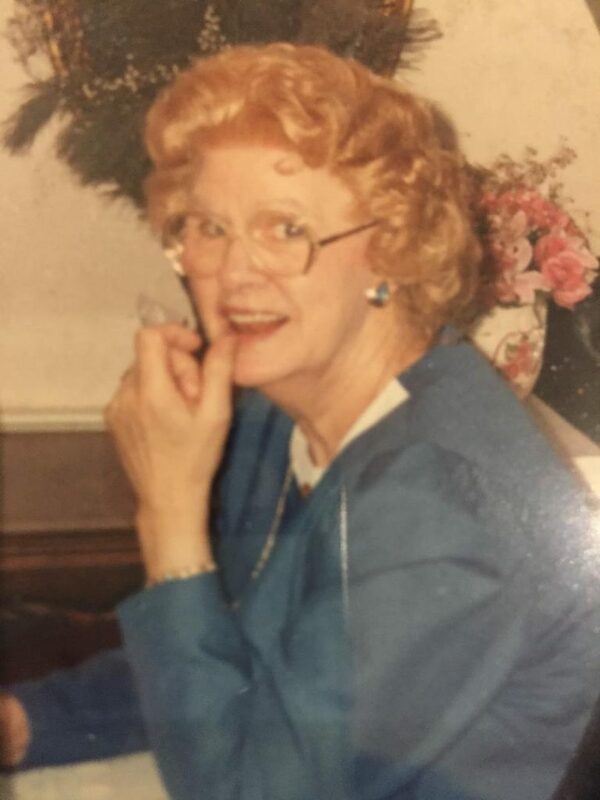 Mary P. Collins (McNamara), formerly of Jamaica Plain and a long time resident of Dedham, passed away on April 3, 2019 at the age of 96. Mary was born in Boston and the daughter of James J. and Margaret (McManus) McNamara. She was the beloved wife of the late Francis M. Collins and dear mother of James J. Peterson of Dedham, Michael J. Peterson and his wife Kathryn of Norton, Francis Collins of Dedham, and the late Mary M. Collins. Proud grandmother of Michael Peterson, Kerryanne Cummins, Megan Wells, Carleton Wells, Shawn Collins, Jared Collins and Matthew Collins. Loving great-grandmother of Mason and James Cummins and Lillianna Wells. Dear aunt of Donna McNamara-Jones, James McNamara and the late John McNamara and sister of the late James McNamara. Mary was devoted to her family and will be sorely missed. Relatives and friends are invited to gather at the Folsom Funeral Home, 87 Milton St., Dedham, on Saturday, April 6, 2019 at 10AM and proceed at 10:30 for a graveside service at 11AM at St. Joseph Cemetery in West Roxbury. In lieu of flowers donations in Mary’s memory may be made to the Joslin Diabetes Center, One Joslin Place, Boston, MA 02215. Mary was such a fun and loving person who touched the lives of so many people. We are sincerely sorry to hear about her passing and want to extend our love and sympathies to all of the family. She will be missed. We hope as time passes memories of special moments each of you shared with her will bring you comfort.